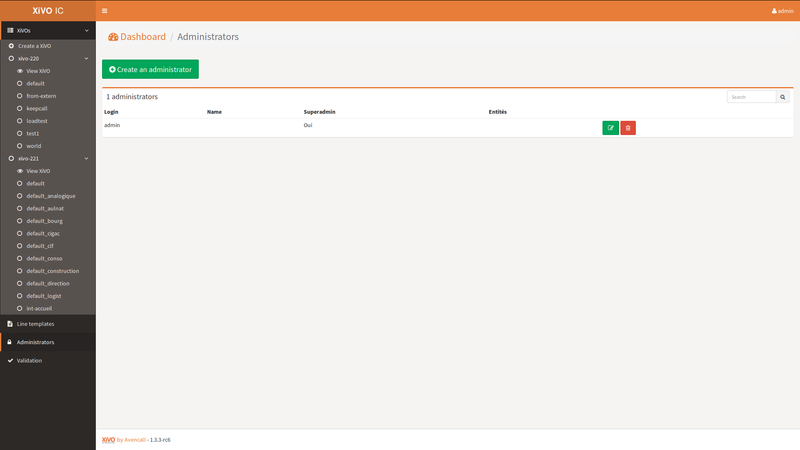 The XiVO Centralized User Management (XCU) is managed through a web interface. In the following sections, we will highlight the main features of the system. XCU uses a few concepts that are important to understand in order to use the interface correctly. The XiVOs servers that are managed by XCU. XCU will automatically retrieve the entities and the users from them and apply the configuration to them. Entities, also called Contexts, are the parts of the dialplan. Users are attached to them. Line templates are used to quickly create users : they define a few default options (ringing time, voice mail, etc.) that will be applied to the new user. 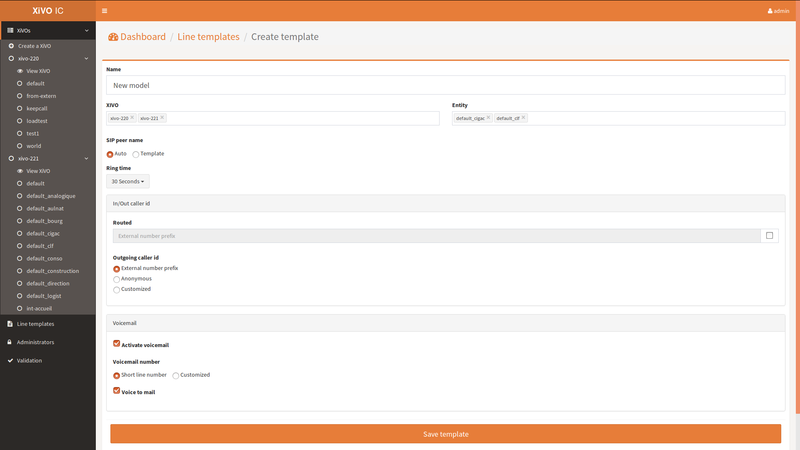 A line template is required to create a user. Users that are able to connect to the XCU and manage the XiVOs. The dashboard provides you some insights about your XiVO systems. 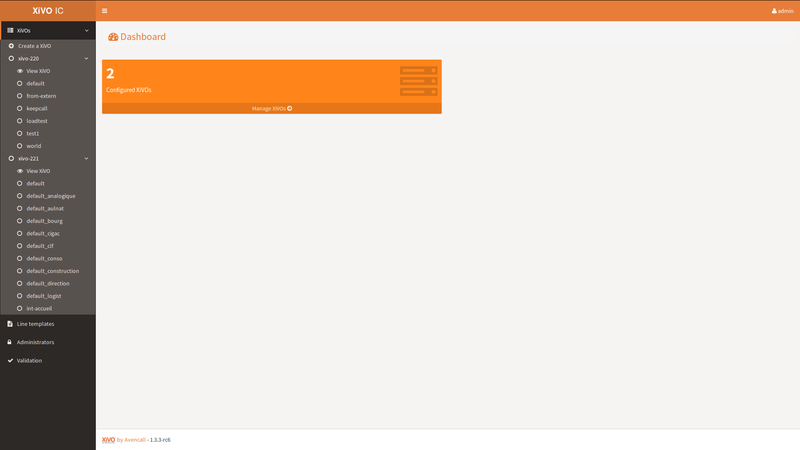 The left sidebar, displayed in every page of the application, gives you access to the various actions you can perform. 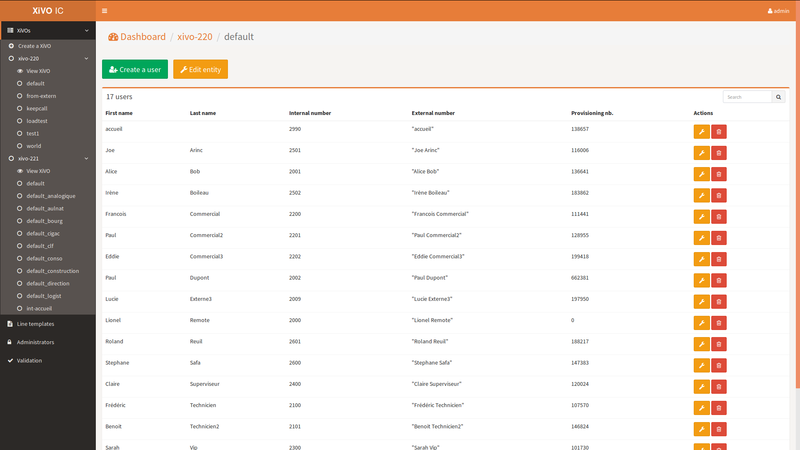 The list of the configured XiVOs and their entities is shown to give a quick access to the one you want to manage. 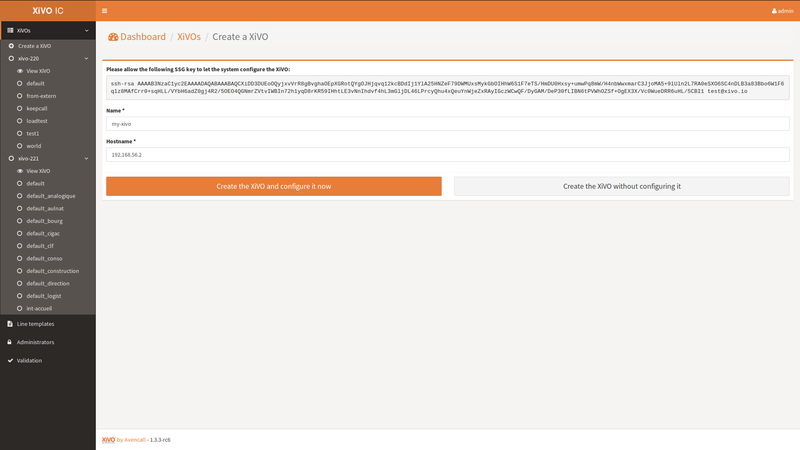 This page allows you to add a new XiVO that will be managed by XCU. Before adding XiVO, please make sure it fulfills requirements - see XiVO(s) Requirements & Limitations. 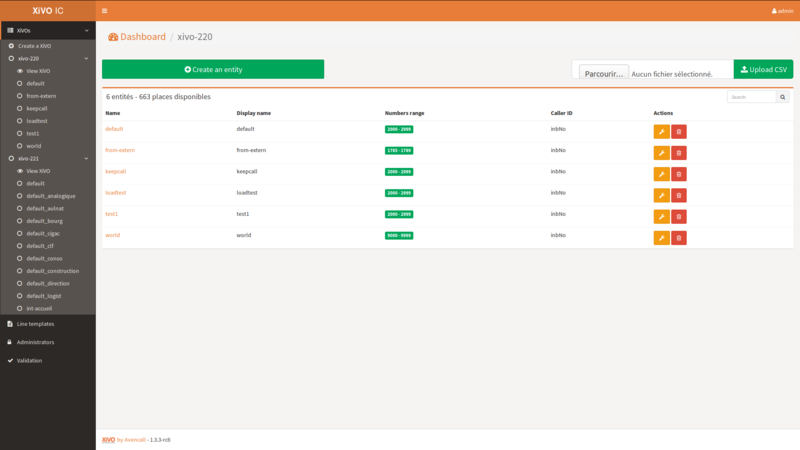 Create the XiVO and configure it now : XCU will save the information, try to connect to the XiVO server and perform the configuration. XiVO services will be unavailable during the operation. If you want Xivo to be configured for centralized routing between multiple Xivos, please follow steps described in Configuration of Xivos for Centralized Routing. 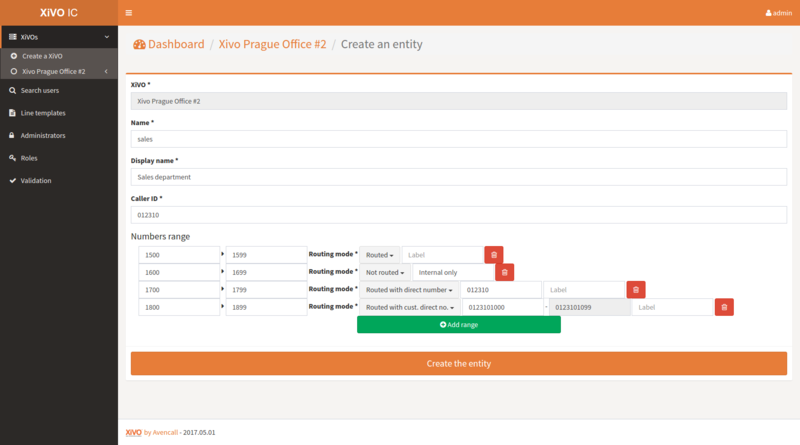 Create the XiVO without configuring it : XCU will only save the informations. Be sure to check the Interval overlapping configuration option before working with entities. Delete one by clicking on the red button with the trash icon. At first click, the icon turns into a question mark. You have 5 seconds to click again to launch user deletion. This process prevents you from accidentally delete users. 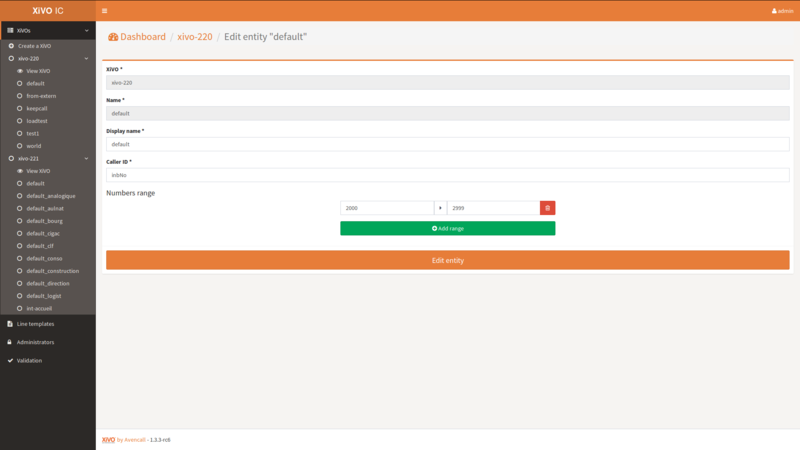 This page allow you to modify an entity. Please refer to the Create entity section for fields details. Voice to mail : whether or not to send an email when a new message is left, the email is the user’s email for short line number box and the one configured in the customized voicemail for the customized box, see Create user for details. 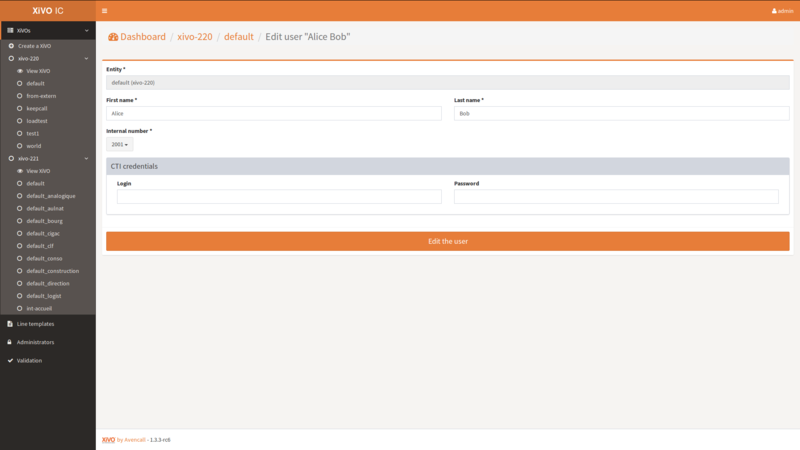 This page allows you to modify a template. 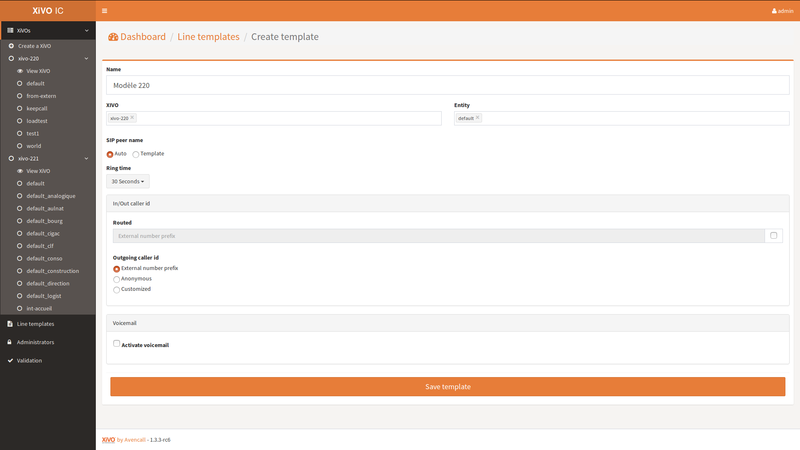 Please refer to the Create template section for fields details. When a private box is choosen (short line number), the box is created and the user’s email is obligatory when Voice to mail feature is activated. When a custom voicemail box is used, the interface will create it if the box doesn’t exist on XiVO, it will be created with user’s email. Otherwise the existing one is used and the email is not changed. Currently there’s a limitation due to a XiVO bug - when you update a user with associated custom voicemail, the voicemail name is replaced with the user’s name. This page allows you to modify a user. 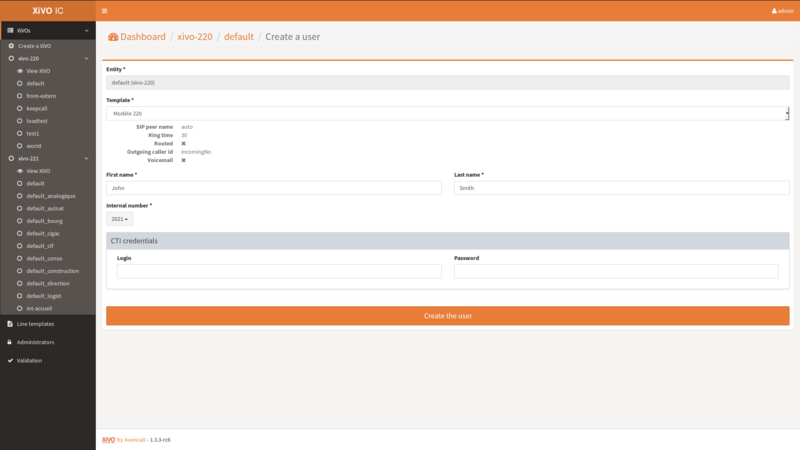 Please refer to the Create user section for fields details. 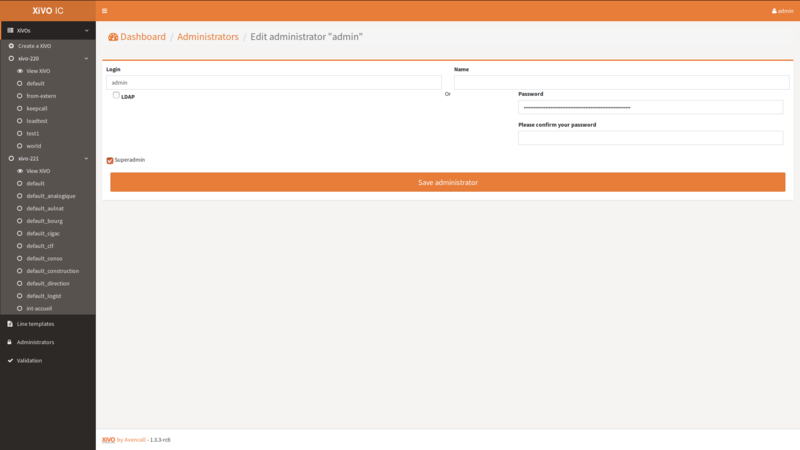 This page allows you to modify an administrator. 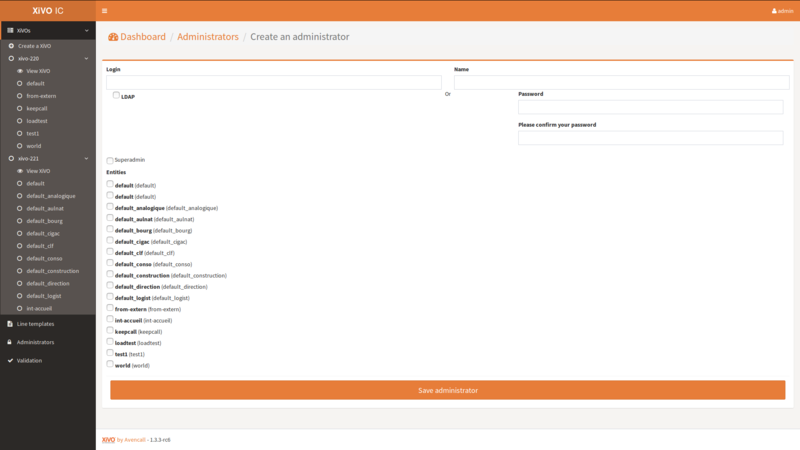 Please refer to the Create administrator section for fields details.